This statistic gives information on the most popular beauty brands on Twitter, ranked by number of followers on the social network. 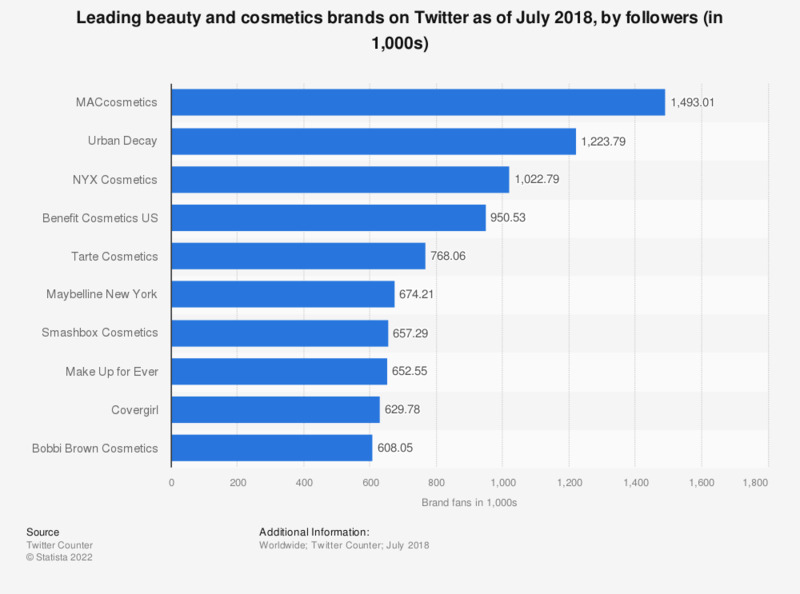 As of July 2018, cosmetics brand MAC was ranked first with 1.49 million Twitter followers. Tarte Cosmetics was ranked fifth with 768,056 followers. Which of the following nail polish brands do you usually use personally?